Take a step inside one of the Napa Valley Wine Train’s original rail cars, the Gourmet Express car. One of the most memorable things about a ride aboard the Napa Valley Wine Train is the train itself! We’re diving into the history and details of our stunning rail cars, starting with car #1100, our Gourmet Express Dining Car. Hop onboard and travel back in time with us. 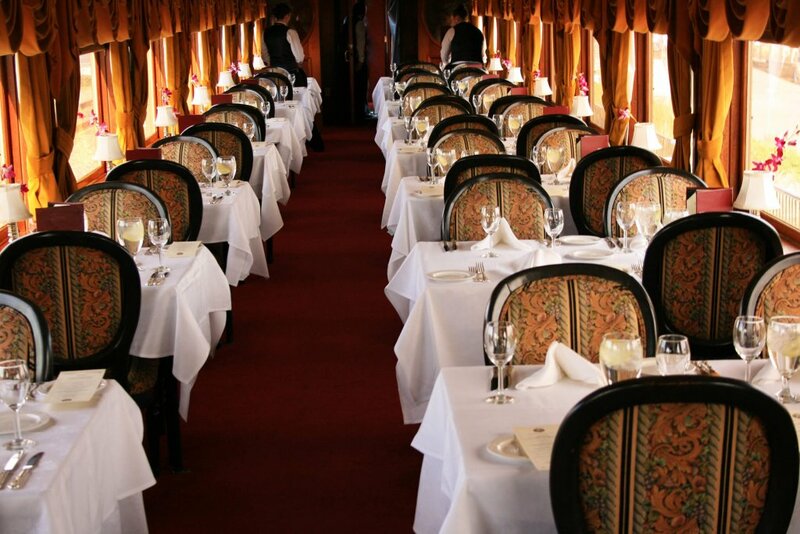 Like many of Napa Valley Wine Train’s rail cars, the Gourmet Express car is a refurbished turn-of-the-century Pullman rail car. Whether it’s for a sumptuous lunch or decadent dinner, when our Gourmet Express train pulls out of the station, this beautifully renovated dining car—and lucky guests—are along for the ride. Railcar 1100 was built in 1917 by the Pullman Standard Company—the best railcar production company in the business. It would have been used as first-class coaches for the Northern Pacific Railway on the North Coast Limited and Northern Pacific Atlantic Express rail lines. Pullman cars defined the luxury of rail travel in the early twentieth century, and this reclining passenger railcar would have been used only by those in first class, such was its luxury, comfort, and grandeur. Arched windows were covered with silk shades, chandeliers hung from the ceiling (powered by state-of-the-art electricity), and the interior was painted with rich colors and often, elaborate designs. The upholstery was soft and lush, the fixtures brass, and the details made of rich walnut and mahogany. The first commercial grapes were planted in the Napa Valley in 1850. The rail line that Napa Valley Wine Train now uses was built in 1864. San Francisco's first millionaire, Samuel Brannan, built the railroad so that his friends could join him in Calistoga for Napa Valley getaways. A journey aboard the Gourmet Express is just as elegant an experience as it would have been for the esteemed guests of Mr. Brannan over 150 years ago. The things that were associated with the private rail service and passenger travel during those days was decadence, opulence, extraordinary beauty, and all of those things can still be found today aboard the meticulously restored Gourmet Express car. The once immaculate railway car #1100 was owned by a private citizen and purchased by the Napa Valley Wine Train in 1987. 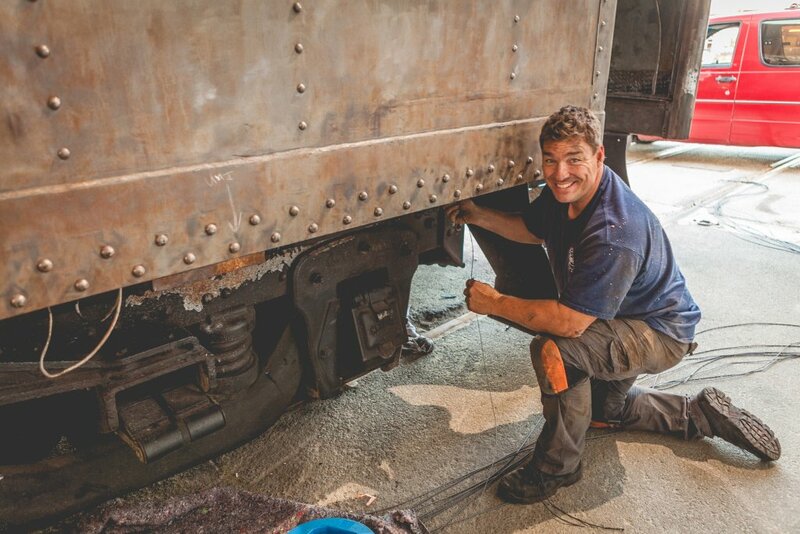 We then began a painstaking restoration process to bring it to its former glory and evoke the luxury and opulence of rail travel in its heyday. It was one of the four cars on the first Napa Valley Wine Train journey on September 16, 1989. The railcar features traditional rail seating, meaning it’s possible you will share your table with another party. In the mid-1800s, railway travelers typically brought their food with them on their journey, but by the time this railcar was built in 1917, resplendent dining cars serving hot meals were quite fashionable for those affluent enough to afford it. There was no such thing as too opulent for Pullman's luxury cars, and in its prime, car 1100 would have shone with sparkling chandeliers, shining brass fixtures, stunning lush upholstery and the latest in fashionable interiors. 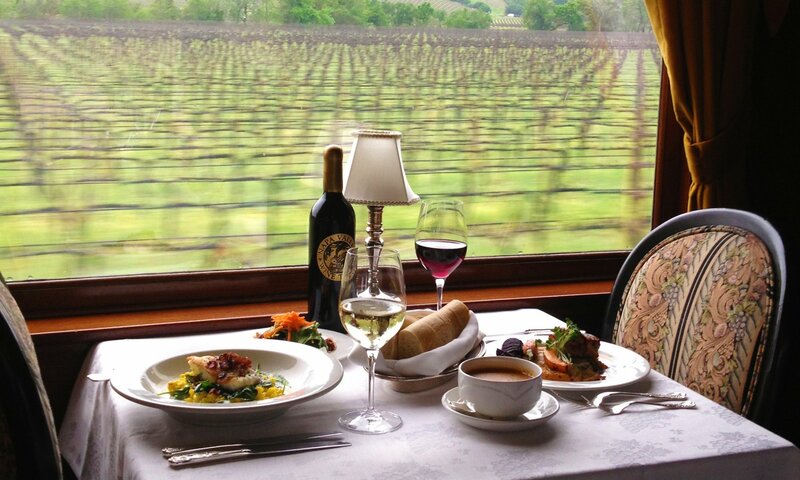 Upon your first step aboard the Napa Valley Wine Train for your Gourmet Express journey, we think you’ll agree that the car imparts the same awe and sense of grand adventure. In love with the look of the Gourmet Express Railcar? Take a look at more Wine Train rail cars on our Pinterest.